NATORE, Apr 15: Off-season bitter gourd cultivation is on the rise in the district as the growers have been making a handsome profit from the vegetable over the last couple of years. Farmers generally start bitter gourd cultivation after completing harvest of mustard and potato. A good number of farmers said harvest of the item started from the first week of the current month. Officials at the Department of Agriculture Extension (DAE) said over 200 hectares of land have been brought under the cultivation of bitter gourd in the district. They said commercial bitter gourd production is gaining popularity in the area for high production and profit. Each kg of the item is being sold at Tk 80 to Tk 100 in the retail market and the wholesale rate is around Tk 70 to Tk 75. "I have cultivated off-seasona bitter gourd on 23 decimals of land spending Tk 12,000. 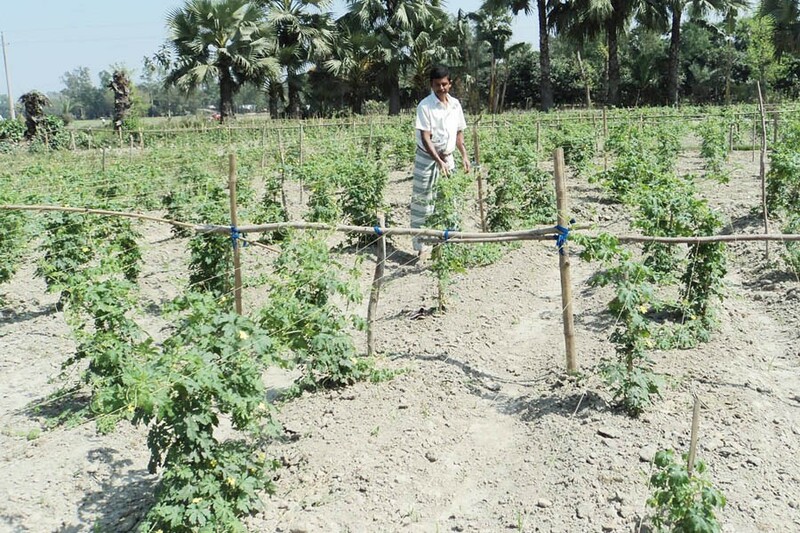 I expect to make a profit of Tk 33,000 this season," said farmer Aminur Hossain of Boraigram upazila. Some traders from neighbouring areas start visiting grassroots farmers to purchase the vegetable directly.